With big events like the Olympics it is too often that we hear about the disqualified and errors of the athletes in the spot light. It’s refreshing to catch a “feel good” story that spotlights our Olympians. 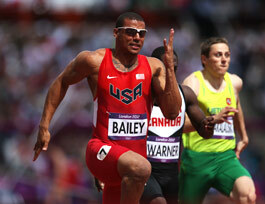 Ryan Bailey is not a name that most have heard of but it is growing in popularity. 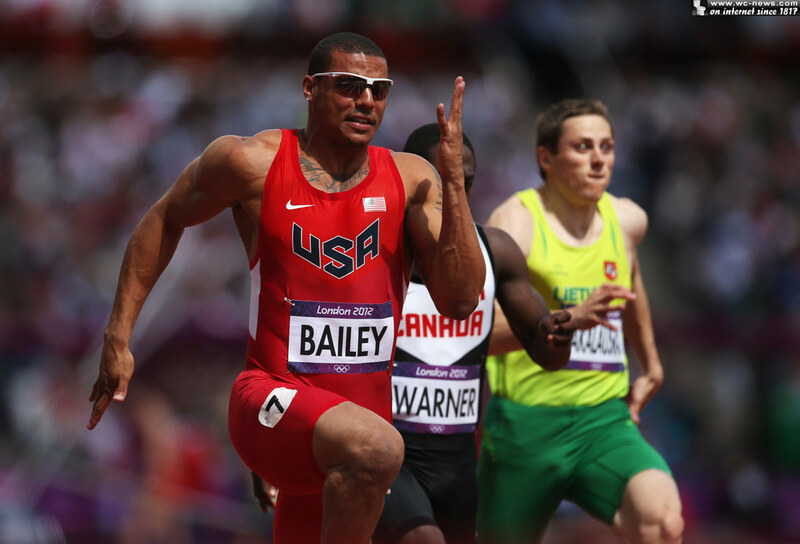 23 year old Ryan Baily, like any there chosen Olympian, was overjoyed to make the U.S. Olympic team in the 100-meter dash with a time of 9.93 seconds. Granted Bailey did come in 3rd in the U.S. Olympic trials, still a little rough around the edges in his beginning phase, but he is a fast powerhouse that holds No. 8 placement in the world. When most people think of Olympic athletes, they probably think that it involved hard work and dedication, naturally, but more than likely do not much consider a sorted past. Ryan Baily, our new young Olympian has overcome many trails including being the “accident” child of a love affair between his mother and a married Robert Bailey, being diagnosed with ADHA (Attention Deficit Hyper Active Disorder) at an early age, gang affiliations, expelled from school in 2005, an attack which left him with 6 stab wounds, a pretty rough senior year in high school and years of developing a genuine lack in confidence. 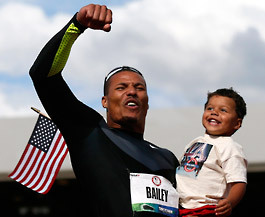 Despite what Ryan Bailey appeared not to be, there were still people that believed in Ryan. A social studies teacher at McKay High School, John Parks and Ryan’s mother, Debra Galban knew that Ryan Baily was something special. 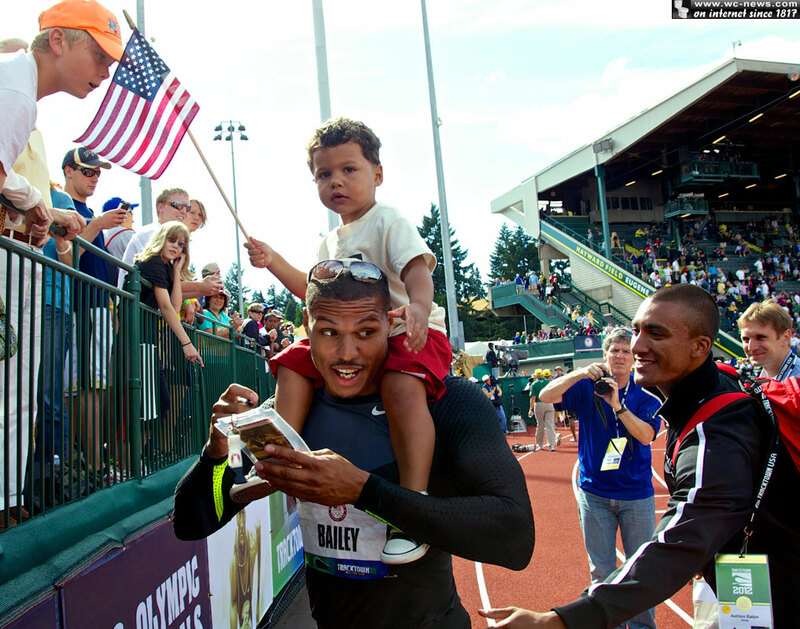 John Parks, Ryan Bailey’s mentor and coach has become the father figure in Bailey’s life that he never had before. “If it wasn’t for him I’d probably be expelled, out of school, doing who knows what,” Bailey says, “I’d be most likely in jail.” Ryan’s mother, Debra said that she knew from the time he was in kindergarten that he would have a full-ride scholarship to college “He was like a streak of lightning.” Galban exclaimed. 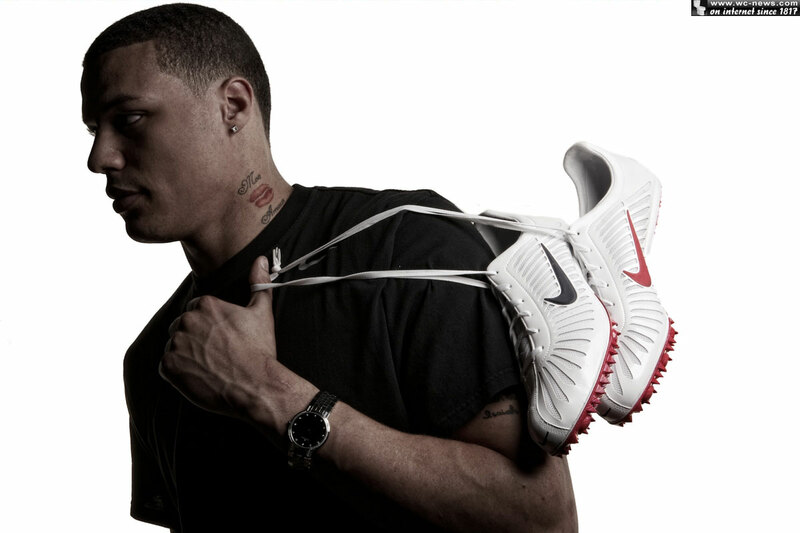 Through broken bones and shattering hopes Ryan Bailey has overcome poverty, reckless behaviors and ultimately himself. 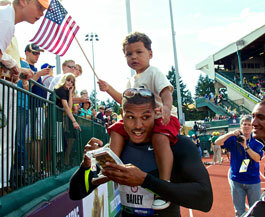 Today Bailey has a young son, Tyree, which has great fatherly footsteps to walk in. Or run in. 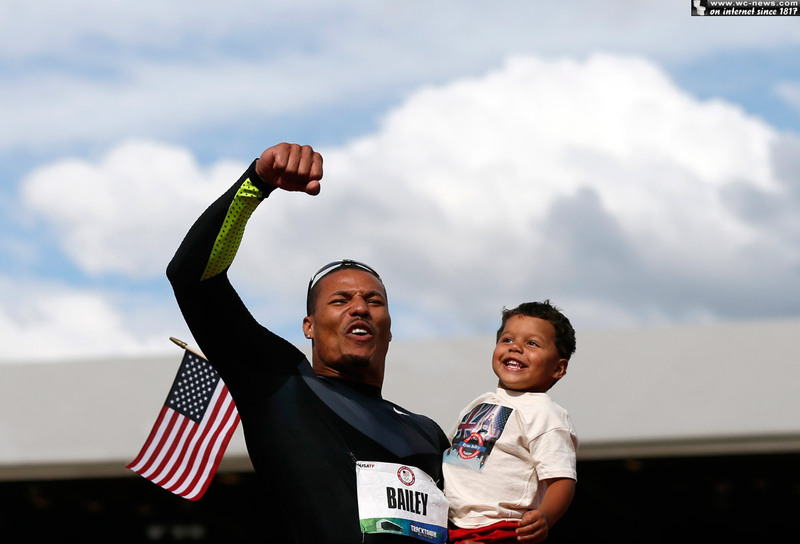 Since 1998 Ryan Bailey’s mother, Debra Galban, has held onto an Olympic coin, believing and hoping that one day her son would be an Olympian athlete. Dreams do come true!